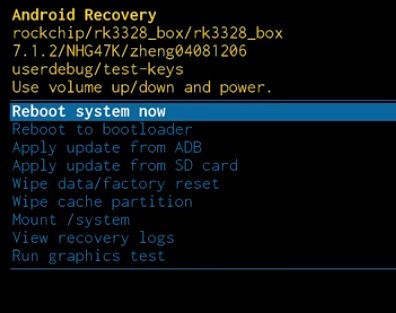 Every so often an Android TV box will need a factory reset or the Firmware updated which is easy enough to do with a few steps. 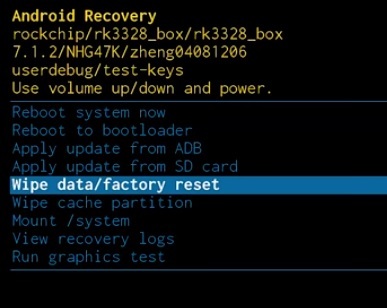 What is a Factory Reset? A Factory Reset is putting a box back to its original settings wiping any user data. This is usually done when selling a box to delete all your data such as apps, passwords, and so on. The Firmware is the software part of the box that controls everything such as WiFi and Video. A Firmware update if done wrong can brick a box making it unusable. Using the correct Firmware version is very important even new versions of an android box can make a difference. Should You Factory Reset or Update the Firmware? Factory Resetting a box sets a unit to the original state it came in deleting any settings that were changed. Since there is no update much less can go wrong and Factory Resetting android devices such as phones is done all the time. Firmware updates can brick a box if done wrong. For this reason a Firmware update should only be done if absolutely necessary. Updating the Firmware is not difficult with the main thing to usually cause problems is using the wrong Firmware file. 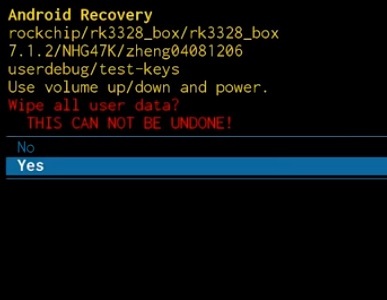 The first step is to set a box in Android Recovery Mode. Basically with the power Off the reset button is held. Power is turned On while holding the reset button for 8-10 seconds and then let go. 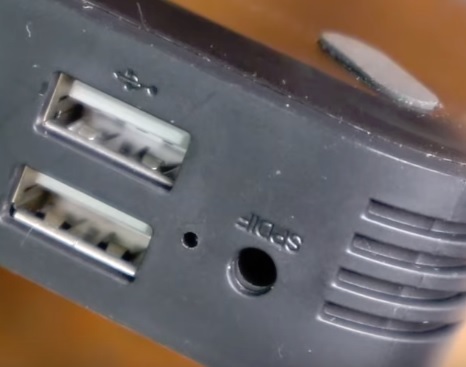 1… Locate the Reset button and Power Plug/Button. 2… Press and hold the Reset button and plug in the box powering it on (Sometimes the power button is used). Keep pressing the Reset Button for 10 seconds and then let go. 3… The box should come up into Recovery Mode with several options. Once in Recovery Mode, the following steps will set the unit back to its default settings erasing all user data. 3… All the data will be erased. 4… After it is done wiping the data select Reboot system now. Sometimes it can take a while to reboot. 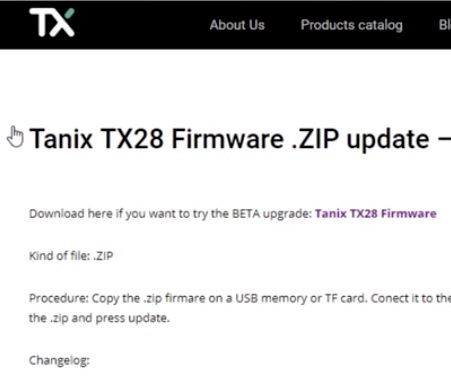 1… Locate and download the Firmware file for your box. Usually, this can be done with a simple Google search or the manufactures website. Be sure to get the correct version for your box. 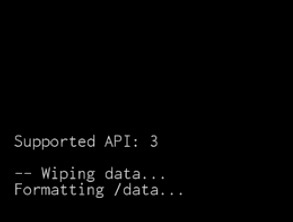 The main reason android TV boxes get Bricked while updating Firmware is the wrong Firmware file. 2… Copy the Firmware file to an SD-card or flash drive and insert it into your box. 5… The box will flash the new Firmware to the unit and show the results on the screen. If it was successful or an error it will show the results. 6… If it doesn’t restart automatically select Reboot system now. Sometimes it can take a while to reboot. 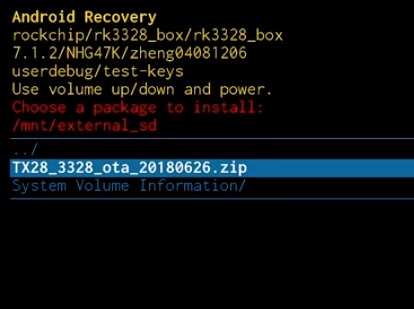 Resetting an Android TV box and erasing all the data is easy to do with a few steps. Flashing new Firmware also is only a few steps but can Brick your box if done wrong. When it comes to Firmware every manufacturer does things differently. Some will do updates and have a download page while others will have no information. Often many would also like to update to the newest android version. Some boxes will not be able to update to the newest android version depending on the unit and Firmware, be sure to read the documentation. Flashing the Firmware is done all the time even with custom versions simply be aware of what can go wrong and read forums, websites, and so on to get the best information for your box. i have an m8pro OTT box, app keep being install into the “internal” storage and not the “nand flash” nor “external sd” is there a fix for this ? 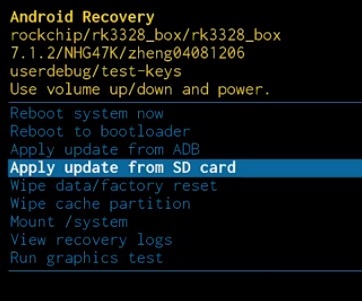 firmware update using rockchip batch tool ? All i can find online is the original image files which bring me back to square one.